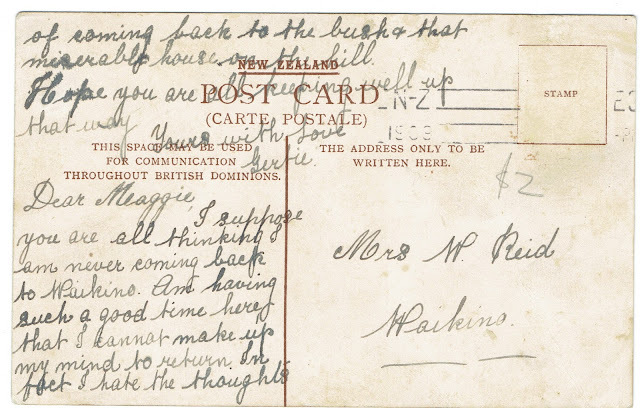 Thames NZ: Genealogy & History Resources: Thames (NZ): Postcard from a Waikino visitor. Thames (NZ): Postcard from a Waikino visitor. 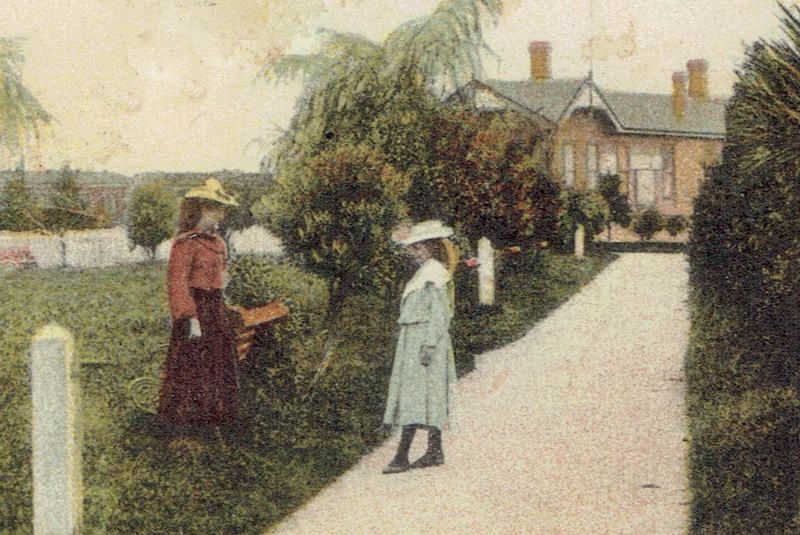 This is the story of 'Gertie' from Waikino, who came to Thames for a holiday in 1903. 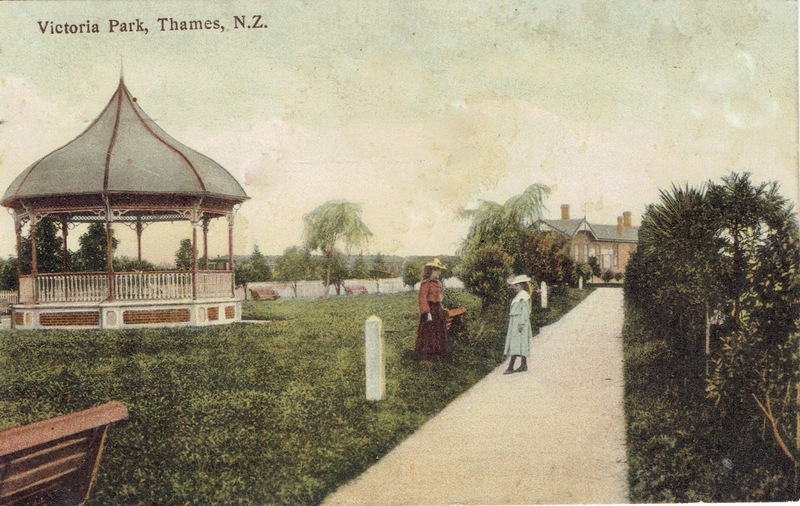 The postcard features the Thames Band Rotunda at Victoria Park, with the Grahamstown Railway Station in the distance. Poor Gertie wrote to her friend (Mrs W Reid) that she thought she might stay at the Thames, as she dreaded returning home "to the bush & that miserable home on the hill" at Waikino. Closer look at the path and women, standing on the path leading to the Grahamstown Railway Station.